URBAN ALLIES edited by Joseph Nassise is available now! 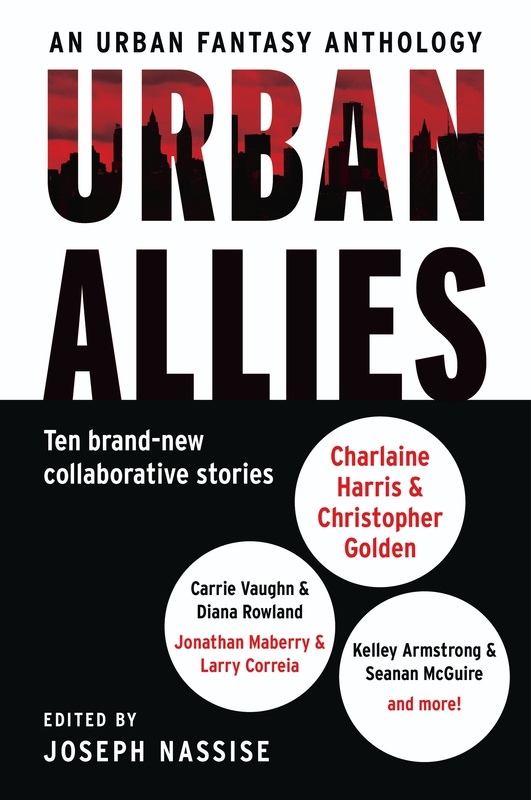 Top urban fantasy authors pair up in Urban Allies, the innovative new anthology edited by Joseph Nassise. In this impressive anthology, twenty of today’s hottest urban fantasy writers—including Charlaine Harris, Jonathan Maberry, Kelley Armstrong, Seanan Mcguire, and C. E. Murphy—pair together to write ten original stories featuring their favorite series characters. Worlds collide when two different urban fantasy series meet in each of the ten electrifying stories in this collaborative project, featuring beloved characters such as Peter Octavian and Dahlia Lynley-Chivers, Joanne Walker and Harper Blaine, Joe Ledger and Special Agent Franks, Sabina Kane and Ava. Urban Allies melds the talents of some of the most high-profile authors in the genre today—many of whom are working together for the first time—to give readers a chance to see their favorite characters in an imaginative and fresh way. Edited by acclaimed bestselling author Joseph Nassise, who is also a contributor, this outstanding collection showcases the brilliant storytelling talents of some of the most acclaimed urban fantasy writers working today—among them seven New York Times bestselling authors and one USA Today bestselling author. Purchase Urban Allies by Joseph Nassise today!